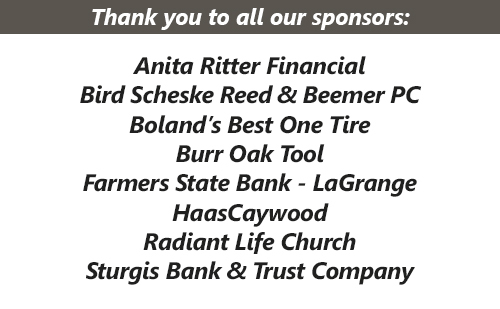 Sturges-Young Auditorium: 2 LOCAL LEGENDS ... COMING TOGETHER FOR 1 NIGHT ... FOR AN AWESOME CAUSE. Phins Up and 16th Avenue Band will be performing on the main stage to help raise money for the SYA sound system (specifically, the bass). Improved sound will go a long way for getting great performances on the main stage in the future! Your $20 ticket gets you entry as well as preshow appetizers starting at 6PM. FULL BAR. 16th Avenue will start the show at 7PM, followed by Phins Up (and finale songs with the 2 bands playing together!!!) You won't want to miss this night!!! 2 LOCAL LEGENDS ... COMING TOGETHER FOR 1 NIGHT ... FOR AN AWESOME CAUSE. 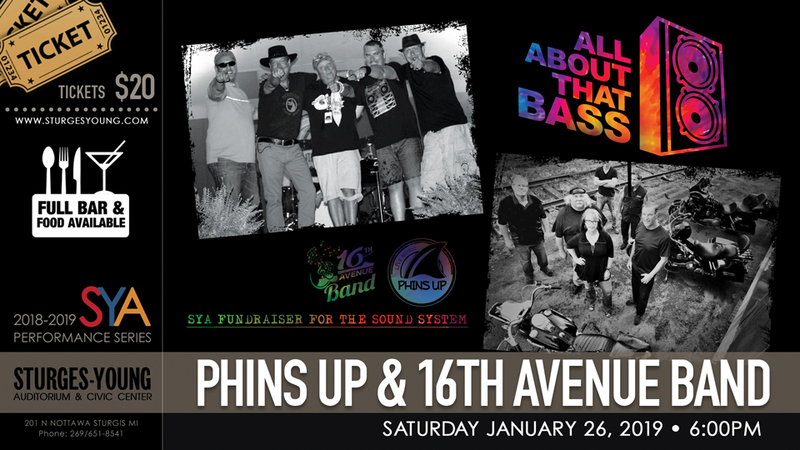 Phins Up and 16th Avenue Band will be performing on the main stage to help raise money for the SYA sound system (specifically, the bass). Improved sound will go a long way for getting great performances on the main stage in the future! Your $20 ticket gets you entry as well as preshow appetizers starting at 6PM. FULL BAR. 16th Avenue will start the show at 7PM, followed by Phins Up (and finale songs with the 2 bands playing together!!!) You won't want to miss this night!! !